Join the AMHA, become a Mark of Authenticity licensee and provide consumers with absolute confidence that the honey they are purchasing is pure 100% Australian Manuka. The Mark of Authenticity is only available under licence to Members of the AMHA. If you are not a Member of the AMHA you may join the Association and then apply to become a licensee. AMHA Membership fees are listed on the Association joining page and the license fee for the Mark of Authenticity is $2,400 plus GST per annum. To be eligible for the Mark of Authenticity, first you must have a proven, existing Australian Manuka honey product available for sale in the marketplace. Your honey product must be tested by a reputable testing laboratory to confirm it meets the AMHA Criteria for Defining Australian Manuka Honey. For your convenience, we provide a list of approved laboratories. If using a laboratory other than one included in our list, you may provide us with the laboratory’s details and we will forward them the relevant paperwork. Once the testing has been completed and confirmed as meeting the AMHA Criteria for Defining Australian Manuka Honey, you may complete the Mark of Authenticity license application form available within your member account. Copies of the test results and samples of your labels, packaging and promotional materials indicating where the Mark of Authenticity will be displayed is required to be submitted with your application. On successful processing of your application, you will be provided with the AMHA Mark of Authenticity Licensing Agreement and brand usage guidelines. The Mark of Authenticity Licensing Agreement must be completed, signed and returned to us and the licensing fee must be paid. On receipt of the signed Mark of Authenticity Licensing Agreement and licensing fee payment, electronic copies of the Mark of Authenticity branding, will be provided to you for use on your tested Manuka honey products. You will also receive a link to the AMHA Mark of Authenticity information webpage which should be linked to from your website. 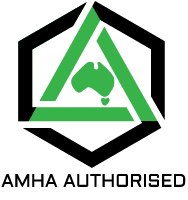 Linking to this webpage ensures a uniform and consistent message is broadcast to the public, summarising what the consumer can expect when they buy a product displaying the AMHA Mark of Authenticity. The AMHA will periodically audit products in the marketplace and licensees’ websites to ensure compliance with the terms set out in the licensing agreement.